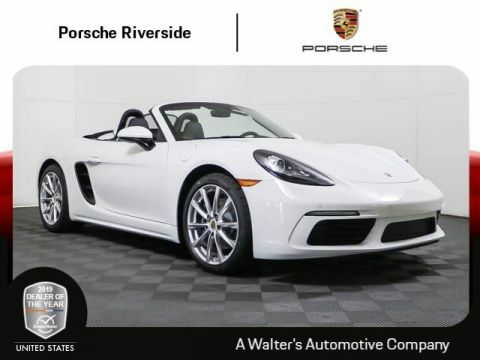 This Porsche 718 Boxster includes the following options: 0Q White 250 7-speed Porsche Doppelkupplung (PDK) 342 Seat heating 397 19 Boxster S Wheels 446 Wheel center caps with colored Porsche Crest 457 Lane Change Assist (LCA) 489 Heated Multifunction Steering Wheel 541 Seat ventilation 546 Supplemental Safety Bars in Exterior Color 581 Luggage net in passenger footwell 583 Smoking package 718 718 Boxster GTS Logo Changed to 718 980 Preparation for Standard Interior with Leather Package 9WT Apple CarPlay(R) incl. Siri(R) PW Standard Interior in Black/Chalk with Leather Package i.c.w. Sport SeatsPrice plus government fees and taxes, any finance charges, any dealer document processing charge, any electronic filing charge and any emission testing charge. Prices and offers on inventory expire each night at midnight. 085 Extended Range Fuel Tank, 16.9 gal 250 7-speed Porsche Doppelkupplung (PDK) 397 19 Boxster S Wheels 446 Wheel center caps with colored Porsche Crest 457 Lane Change Assist (LCA) 489 Heated Multifunction Steering Wheel 541 Seat ventilation 546 Supplemental Safety Bars in Exterior Color 581 Luggage net in passenger footwell 583 Smoking package 658 Power Steering Plus 718 718 Boxster Logo Changed to 718 980 Preparation for Standard Interior with Leather Package 9VL Bose(R) Surround Sound System 9WT Apple CarPlay G1 Guards Red P06 Power Sport Seats (14-way) with Memory Package P9B Premium Package i.c.w. Power Sport Seats (14-way) PT Standard Interior in Black/Luxor Beige with Leather Package i.c.w. Sport Seats XLS Sport Tailpipes in SilverPrice plus government fees and taxes, any finance charges, any dealer document processing charge, any electronic filing charge and any emission testing charge. Prices and offers on inventory expire each night at midnight. 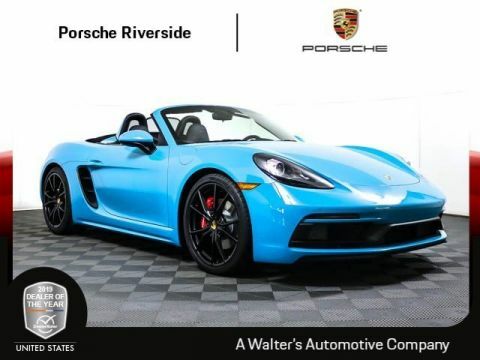 This Porsche 718 Boxster S includes the following options: 250 7-speed Porsche Doppelkupplung (PDK) 342 Seat heating 433 20 Carrera S Wheels 489 Heated Multifunction Steering Wheel 541 Seat ventilation 581 Luggage net in passenger footwell 583 Smoking package 980 Preparation for Standard Interior with Leather Package 9VL Bose(R) Surround Sound System 9WT Apple CarPlay A1 Black P13 Auto-Dimming Mirrors with Integrated Rain Sensor PM Standard Interior in Black/Bordeaux Red with Leather Package i.c.w. Sport Seats XDK Wheels Painted in Satin Black XLW Sport Tailpipes in Black XYB Fuel Cap with Aluminum Look FinishPrice plus government fees and taxes, any finance charges, any dealer document processing charge, any electronic filing charge and any emission testing charge. Prices and offers on inventory expire each night at midnight. 030 PASM Sport Suspension (Lowered 20 mm) 250 7-speed Porsche Doppelkupplung (PDK) 342 Seat heating 489 Heated Multifunction Steering Wheel 519 PORSCHE Logo in Satin Black 546 Supplemental Safety Bars in Exterior Color 581 Luggage net in passenger footwell 583 Smoking package 712 Deletion of GTS Decal on Doors 9WT Apple CarPlay(R) incl. 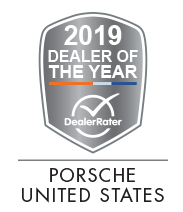 Siri(R) GF Standard Interior in Black Leather/Alcantara(R) with Alcantara(R) Seat Centers J5 Miami BluePrice plus government fees and taxes, any finance charges, any dealer document processing charge, any electronic filing charge and any emission testing charge. Prices and offers on inventory expire each night at midnight. The new 718 GTS models are the embodiment of forward thrust -- even when stationary. Thanks to a sharpened design language and accents in black. The rear is clearly contoured and looks wide and imposing due to the rear apron and the centrally positioned sports tailpipes in black. The LED taillights are tinted, the model logo is also finished in black. The high-powered 2.5-litre turbocharged and horizontally opposed cylinder engine with direct fuel injection (DFI), VarioCam Plus and integrated dry-sump lubrication delivers a mighty 269 kW (365 hp) to the road. Top speed isn't reached until 290 km/h. The dash from 0 to 100 km/h is quite remarkable, too: with the 6-speed manual transmission, the new 718 GTS models complete the sprint in a mere 4.6 seconds. And it gets sportier still: with Launch Control of the Sport Chrono Package and Porsche Doppelkupplung (PDK), the clock stops after just 4.1 seconds. The 718 GTS models are fitted with a turbocharger engineered specifically for the respective power output of the engine, boosting performance and efficiency thanks to a modified compression system. Technology taken from the 911 Turbo helps to achieve excellent responsiveness at low engine speeds and a high maximum power output. With the sports exhaust system, the powerful sound of the mid-mounted engine becomes even more intense -- at the push of a button. The centrally positioned two-tract sports tailpipes in stainless steel are finished in high-gloss black. The large air intakes help to ensure an optimum supply of air. And they also make the front look even wider and more imposing. This impression is reinforced by the tinted front light units, the front spoiler and the outer air blades in black. The outlook is bright thanks to the Bi-Xenon main headlights. Optional LED main headlights including Porsche Dynamic Light System Plus (PDLS Plus) offer excellent safety combined with a sporty design. 20-inch Carrera S wheels with a dynamic 10-spoke design help to ensure solid road holding. They are -- typically for a GTS -- finished in satin black. A selection of other 20-inch wheels is available from our range of personalization options. The interior integrates the driver perfectly into the vehicle. All the important information you need is directly within view. Alcantara(R), the proven motorsport material, ensures a good grip. In the new 718 GTS models, it is used primarily for surfaces within close reach: such as on the steering wheel rim and gear lever/ selector. Sports seats Plus help to create the seating sensation typical of a sports car. The special part? The combination of leather and Alcantara(R) and a striking seam pattern. The seat centers are in Alcantara(R) and the headrests are embroidered with 'GTS' logos. Sports bucket seats are available as an option for an even more authentic motorsport feel. The Sport Chrono Package enables an even sportier tuning of the chassis, engine and transmission. And launches you to unprecedented sporty heights. Besides the four selectable performance modes available from the GT sports steering wheel, the Sport Chrono Package offers additional functions in conjunction with PDK -- for maximum responsiveness and maximum acceleration. The Sport Chrono Package also includes the Porsche Track Precision app. In conjunction with Connect Plus of Porsche Connect, you can clock lap times, collate driving stats, manage the results and share them with others for comparison. 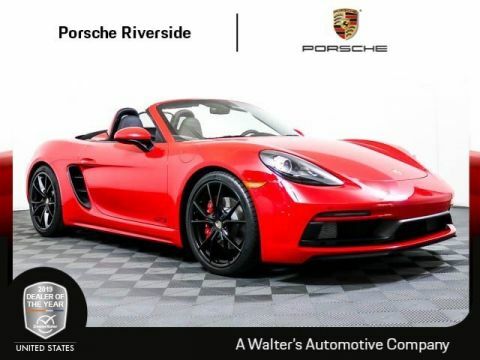 This Porsche 718 Boxster GTS has the following options: 030 PASM Sport Suspension (20 mm Lower) 250 7-speed Porsche Doppelkupplung (PDK) 342 Seat heating 489 Heated Multifunction Steering Wheel 546 Supplemental Safety Bars in Exterior Color 573 2-zone Automatic Climate Control 581 Luggage net in passenger footwell 583 Smoking package 714 Deletion of Alcantara(R) 858 Steering Wheel in Leather 970 Preparation for Two-Tone Leather Interior 9VL Bose(R) Surround Sound System A7 Graphite Blue Metallic IU2 Porsche Connect TG Leather Interior with Sport-Tex Seat Centers in Graphite Blue/Chalk XSC Porsche Crest on headrests Let the 2018 Porsche 718 Boxster GTS impress you in person today at Walter's Porsche Riverside located at 8423 Indiana Ave. Riverside, CA 92504.Price plus government fees and taxes, any finance charges, any dealer document processing charge, any electronic filing charge and any emission testing charge. Prices and offers on inventory expire each night at midnight. The new 718 GTS models are the embodiment of forward thrust -- even when stationary. Thanks to a sharpened design language and accents in black. The rear is clearly contoured and looks wide and imposing due to the rear apron and the centrally positioned sports tailpipes in black. The LED taillights are tinted, the model logo is also finished in black. The high-powered 2.5-litre turbocharged and horizontally opposed cylinder engine with direct fuel injection (DFI), VarioCam Plus and integrated dry-sump lubrication delivers a mighty 269 kW (365 hp) to the road. Top speed isn't reached until 290 km/h. The dash from 0 to 100 km/h is quite remarkable, too: with the 6-speed manual transmission, the new 718 GTS models complete the sprint in a mere 4.6 seconds. And it gets sportier still: with Launch Control of the Sport Chrono Package and Porsche Doppelkupplung (PDK), the clock stops after just 4.1 seconds. The 718 GTS models are fitted with a turbocharger engineered specifically for the respective power output of the engine, boosting performance and efficiency thanks to a modified compression system. Technology taken from the 911 Turbo helps to achieve excellent responsiveness at low engine speeds and a high maximum power output. With the sports exhaust system, the powerful sound of the mid-mounted engine becomes even more intense -- at the push of a button. The centrally positioned two-tract sports tailpipes in stainless steel are finished in high-gloss black. The large air intakes help to ensure an optimum supply of air. And they also make the front look even wider and more imposing. This impression is reinforced by the tinted front light units, the front spoiler and the outer air blades in black. The outlook is bright thanks to the Bi-Xenon main headlights. Optional LED main headlights including Porsche Dynamic Light System Plus (PDLS Plus) offer excellent safety combined with a sporty design. 20-inch Carrera S wheels with a dynamic 10-spoke design help to ensure solid road holding. They are -- typically for a GTS -- finished in satin black. A selection of other 20-inch wheels is available from our range of personalization options. The interior integrates the driver perfectly into the vehicle. All the important information you need is directly within view. Alcantara(R), the proven motorsport material, ensures a good grip. In the new 718 GTS models, it is used primarily for surfaces within close reach: such as on the steering wheel rim and gear lever/ selector. Sports seats Plus help to create the seating sensation typical of a sports car. The special part? The combination of leather and Alcantara(R) and a striking seam pattern. The seat centers are in Alcantara(R) and the headrests are embroidered with 'GTS' logos. Sports bucket seats are available as an option for an even more authentic motorsport feel. The Sport Chrono Package enables an even sportier tuning of the chassis, engine and transmission. And launches you to unprecedented sporty heights. Besides the four selectable performance modes available from the GT sports steering wheel, the Sport Chrono Package offers additional functions in conjunction with PDK -- for maximum responsiveness and maximum acceleration. The Sport Chrono Package also includes the Porsche Track Precision app. In conjunction with Connect Plus of Porsche Connect, you can clock lap times, collate driving stats, manage the results and share them with others for comparison. 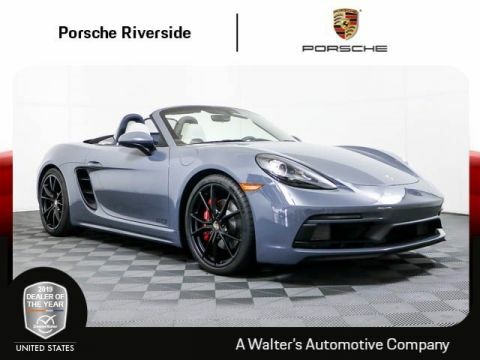 This Porsche 718 Boxster GTS has the following options: 030 PASM Sport Suspension (20 mm Lower) 250 7-speed Porsche Doppelkupplung (PDK) 489 Heated Multifunction Steering Wheel 546 Supplemental Safety Bars in Exterior Color 581 Luggage net in passenger footwell 583 Smoking package 858 GT Sport Steering Wheel in Leather 9VL Bose(R) Surround Sound System G1 Guards Red GF Standard Interior in Black Leather/Alcantara(R) with Alcantara(R) Seat Centers IU2 Porsche Connect P07 Adaptive Sport Seats Plus (18-way) with Memory Package P9I Premium Package Plus (Adaptive Sport Seats Plus, 18-way) XAY Rear Wing Painted in Black (High-Gloss) XYB Fuel Cap with Aluminum Look Finish Let the 2018 Porsche 718 Boxster GTS impress you in person today at Walter's Porsche Riverside located at 8423 Indiana Ave. Riverside, CA 92504.Price plus government fees and taxes, any finance charges, any dealer document processing charge, any electronic filing charge and any emission testing charge. Prices and offers on inventory expire each night at midnight. The Porsche Boxster, now known as the 718 Boxster, interprets the 718 legend by embracing the concept of a pure-bred roadster. It offers drivers a direct and open driving experience, and is the sequel to continue the Boxster era. At the heart of every Porsche 718 Boxster model, available at our Riverside Porsche dealership, is a four-cylinder turbocharged engine that delivers the spirited and powerful drive one expects from Porsche. See our current Porsche Boxster lease specials. These mid-engined roadsters aim to unite the legend of the 718 with the sports car of tomorrow. When compared with previous Boxster models, the 718 features a new design that’s more striking. The 718 Boxster features a sportier chassis than previous models, as well as a host of new performance, comfort, and assistance systems. 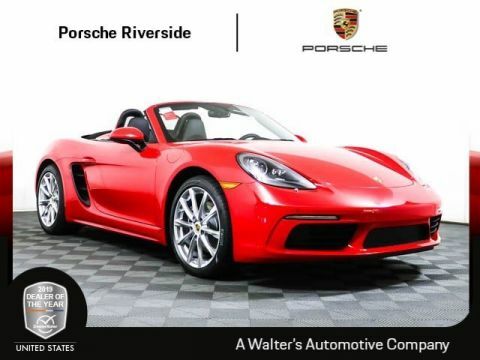 Shoppers at our Riverside Porsche dealership will find the all-new Boxster convertible available in two trim levels: the 718 Boxster and the 718 Boxster S. Take on the beautiful California roads and enjoy the gorgeous weather that our Golden State has to offer in open-air freedom behind the wheel of a new 718 Boxster. 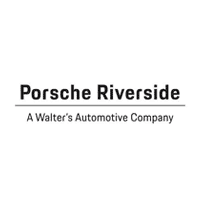 For more information about the Porsche 718 Boxster models, visit Porsche Riverside or give us a call. 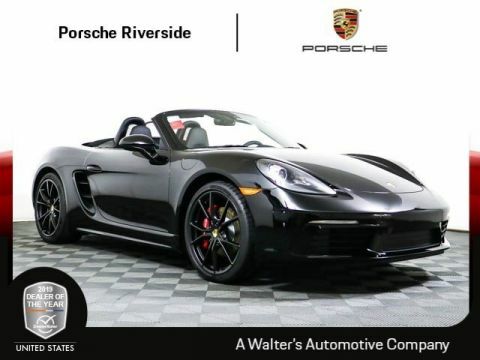 We are the go-to Porsche Boxster dealership in the greater Los Angeles area.